We’d love your help. 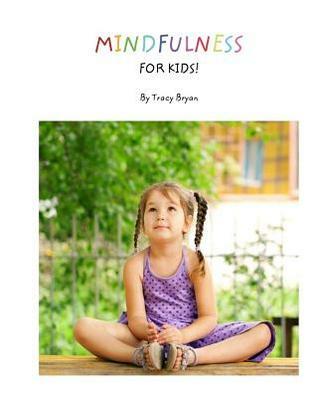 Let us know what’s wrong with this preview of Mindfulness for Kids by Tracy Bryan. Have you ever listened to how your body feels? Can you tell what it needs when you listen to it closely? This is mindfulness... Learn ways to get in touch with your body, so you can give your mind a break every once in a while! To ask other readers questions about Mindfulness for Kids, please sign up. Getting your kids to think about what their bodies are telling them could be a little tricky. But, if you ask just the right question it could be easier than you think. 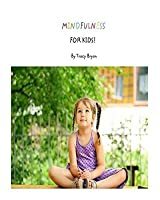 Author Tracy Bryan has created a wonderful guide to help parents teach kids how to become mindful of their bodies. Adorable photos of a diverse group of children can be found throughout the pages. Questions such as “How does your body tell you it’s hungry?” Parents can engage children in conversations that will help them pinpoint Getting your kids to think about what their bodies are telling them could be a little tricky. But, if you ask just the right question it could be easier than you think. Author Tracy Bryan has created a wonderful guide to help parents teach kids how to become mindful of their bodies. Adorable photos of a diverse group of children can be found throughout the pages. Questions such as “How does your body tell you it’s hungry?” Parents can engage children in conversations that will help them pinpoint a stomach growl or gurgle sound their tummies make when they are hungry. Bryan suggest kids can stop, breathe and listen to their bodies. She refers to this as mindfulness. This guide is a great way to introduce children to their bodies, how to think about what their feeling in a clear and positive way. The back pages have a host of other resources that can introduce families to mindfulness.